Direct Promotional Products (ICM/United Visual Products) is an experienced promotional products manufacturer that features unique promotional items. 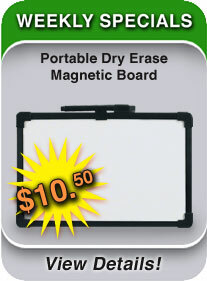 Shop around for multiple promotional items to help with your corporate promotions. Personalize dry erase boards, repositionable dry erase memo boards, indoor signs, outdoor signs, pedestal signs, banners or corkboards. 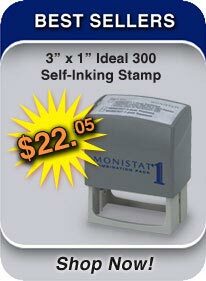 Use ink stamps, self-inking stamps, pre-inked stamps or rubber stamps as giveaways. 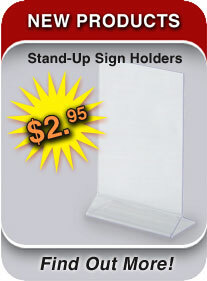 ICM/UVP also offers high quality, custom ASI Promotional Products such as acrylic displays, P.O.P. displays, repositionable wall art and name badges. Our dedicated sales and customer service support staff will work with any company in developing new and exciting promotional products. Our mission is to build long term relationships with our distributors by offering unique promotional products, some of the best lead times in the industry and fair pricing.